Here we offer you different ways of displaying and resting your pipes; some are for the smoker-on-the-move, while others can add more beauty to your favorite pipes (and also to your pipe smoking "corner"). A great invention. 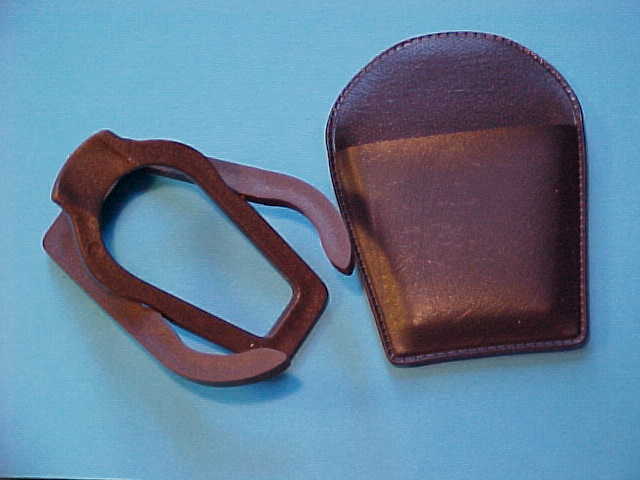 You slip it into your "vest-pokect" and you have a fully functional and good looking pipe rest, whenever you need it. 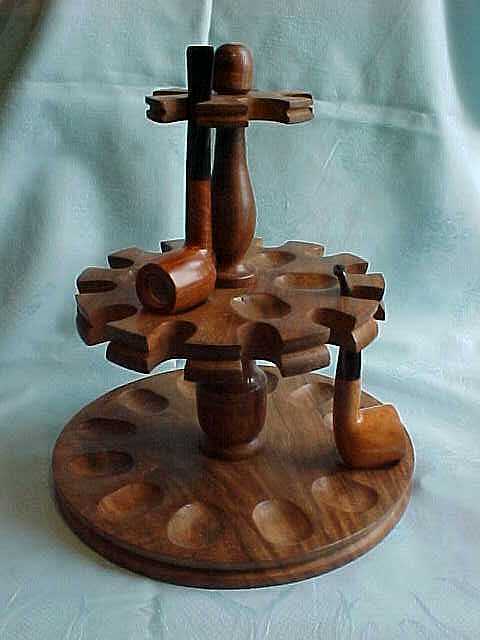 A classic pipe rack to accommodate 18 pipes.